How Prep School Bullying, Hazing and Unspeakable Abuse Altered a Young Man’s Future. Prep school, by contrast, becomes a daily fight for survival. Bullies set his room on fire, and finally, the vicious attack – the point of no return for an innocent young man. His father hires a Serbian boxer – a former para-military killer – to toughen up his son. Slobodan forces Gus to “carry thirty pounds of rocks in a sack on my back at all times. Later the weight would increase. Even while sitting I would be forced bear the weight of the rocks.” Gus is transformed into a decorated “flame throwing” Marine. But war medals cannot erase the childhood trauma, nor the pain he inflicted as a result. Hoping to mend deep emotional wounds, Gus seeks redemption in love from an otherwise “perfect” woman who cannot provide it. Teenagers who suffer from bullying or hazing must read this book. Parental wealth does not protect teens behind private school or prep school walls. The slide into a life of pain and betrayal begins with one treacherous act. Superficial investigations and apologies only add fuel to the flames. 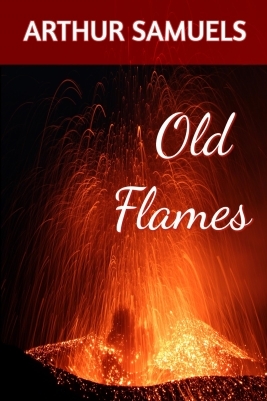 Old Flames paints the daily life of a Jewish family so assimilated among New York’s Christian elite in the early 1940s that their Jewish heritage is never mentioned, let alone discussed – even as the Nazis march to power. “How much do folks back home know about the camps?” Pappy scoured, “I insist that we do not discuss that topic.” The author lifts the shades on a period of Jewish history lost to the embers of time. Arthur Samuels was born and raised in New York City (BA Vassar College, MA Fordham University, M.Ed Columbia University). An educator for twenty years, he lives in New York with his wife, son and Golden Retriever.